Azerbaijani President Ilham Aliyev expressed his hope that his election will pave the way to the strengthening mutual confidence among the Parties and maintaining peace in the region and beyond. Ilham Aliyev said he looks forward to working closely with Baghdad Amreyev on all issues of mutual interest. Baghdad Amreyev commended Azerbaijan for constantly supporting further development of the Turkic Council. In this regard, he emphasized the historical significance of the establishment of the Turkic Council as an international body at the Nakhchivan Summit in 2009. Baghdad Amreyev expressed his confidence that high-level summit will be organized by Azerbaijan in autumn. Amreyev informed the head of state about the establishment of relations with relevant international relations and cooperation in the field of economy, trade, finance, transport, and others. 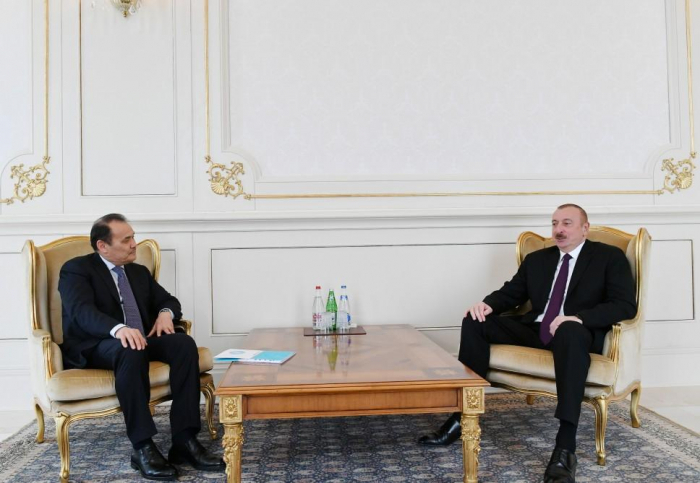 Ilham Aliyev wished Amreyev success in his future activities.